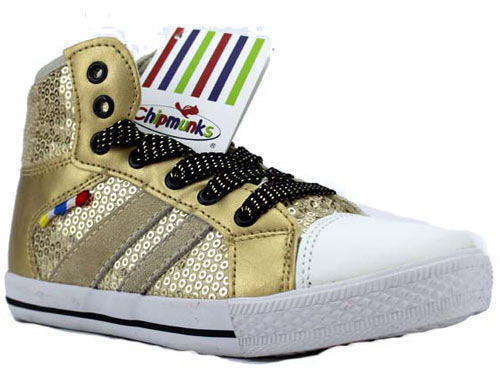 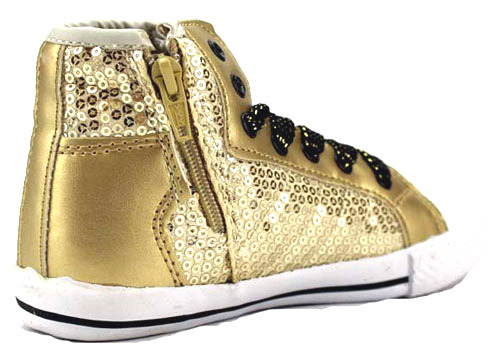 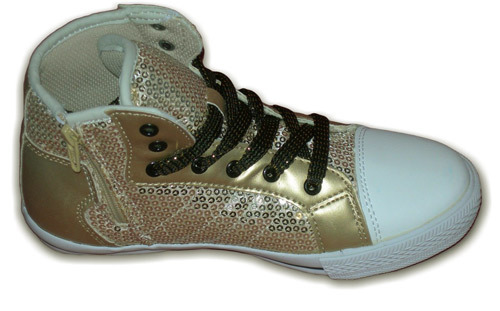 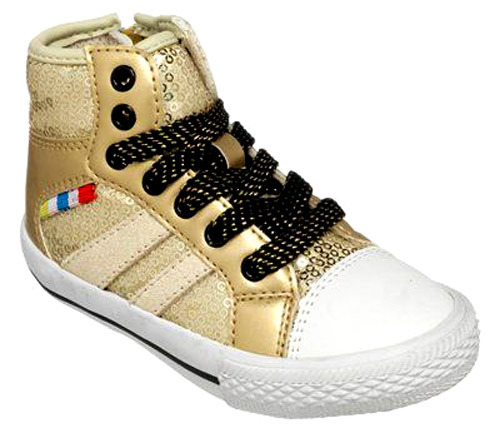 Chipmunks Dallas Gold – stylish gold part leather & synthetic hi-tops with sequins on the upper, textile lining flat soles. 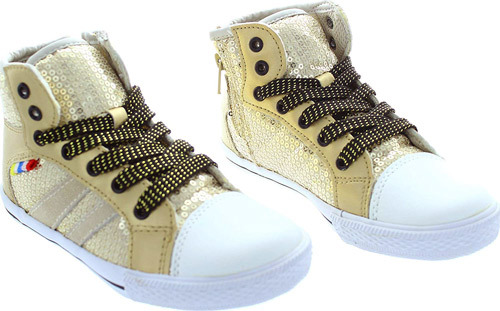 Ideal for all day wear inside and out, with side zip fastenings for easy on/off as well as front contrast lace fastenings. 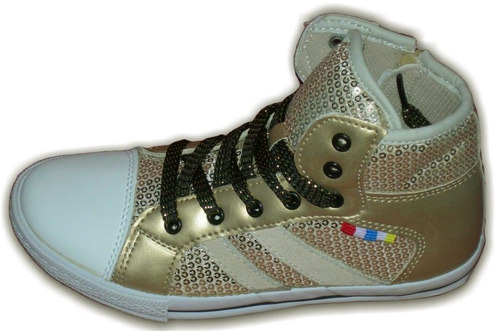 Not to be missed at this price! 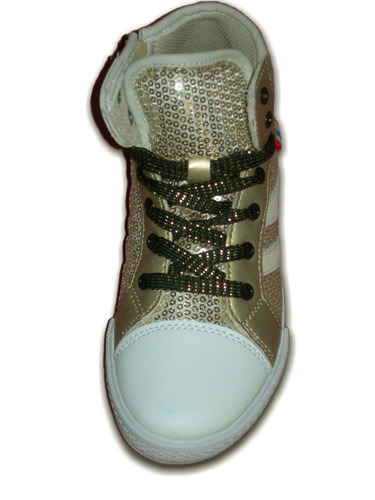 Ideal for all year round and a great stocking filler!